F. Ball has extended the use of its revolutionary Styccobond F49 Hybrid PS adhesive to the installation of skirting, coving and capping, while introducing a smaller, innovative packaging solution to deliver added convenience and minimise waste. Following extensive testing, the temperature tolerant, pressure sensitive adhesive has now been approved for use with flooring accessories typically applied to vertical surfaces, such as skirting, coving and capping, offering an alternative to traditional contact adhesives. The packaging for the new 500g Handy Pack features both components of the adhesive contained in a plastic pouch, separated by a secure, but easily removable clip. Once the clip is removed the adhesive can be easily mixed before the pouch is opened. A red pigment in one part of the adhesive provides a simple, visible indication of when the product is suitably mixed, as it will then have a uniform, streak-free, pink colouration. Styccobond F49 pressure sensitive adhesive offers instant high grab, combined with ultra-high bond strength, providing contractors with the familiar reassurance of high initial tack to hold flooring products firmly in place, whether on horizontal or vertical surfaces. The pressure sensitive nature of the adhesive allows it to continue to build up strength following initial application and, when fully cured, it develops an extremely high bond strength, that is able to maintain its performance even when exposed to extreme temperature fluctuations (as low as -20°c and up to +60°c). The adhesive is also suitable for use over normal underfloor heating systems. In addition, Styccobond F49 provides an extremely strong water-resistant bond, allowing it to be used in areas subject to water and high humidity, including wet rooms. Unlike contact adhesives, Styccobond F49 only needs to be applied to one surface to achieve a good bond and offers an extended open time of up to four hours. During the early stages of drying skirting/coving can be easily repositioned if initial alignment isn’t correct; a capability that isn’t afforded by contact adhesives. Solvent-free and low hazard, Styccobond F49 offers the advantage of being suitable for use in sensitive areas, such as hospitals and schools. It has also been tested to the standards of IMO and approved for use in marine flooring installations. Styccobond F49 can be applied to structurally sound, smooth, dry subfloors of concrete and sand/cement screed, calcium sulphate, Stopgap smoothing underlayments and plywood. 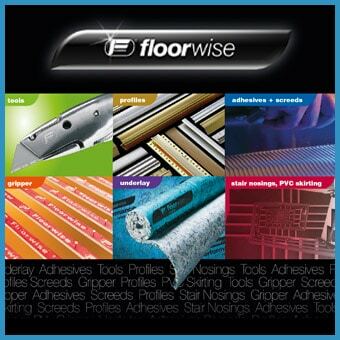 The adhesive is also available for the installation of vinyl floorcoverings in its regular 2kg and 5kg packs.